French Quarter, Garden District, Uptown/Carrolton, Mid-City, and the University Area. Your guide will explain the diverse history of the city and architectural styles of the unique buildings as you travel through the neighborhoods. Starting times for the tour is available between 8 A.M. and 12 P.M. Please leave requested times in the special request section during booking. The tour covers the effects of Hurricane Katrina and present recovery efforts throughout the City. You will visit City Park, where you will walk under 800 year old oak trees . 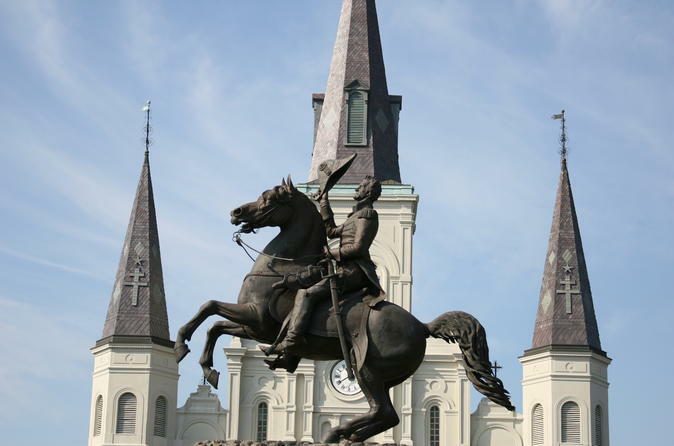 We will travel down St. Charles Avenue while visiting the Uptown and University Section; The tour concludes with visits to the Garden District. This area was the "American Section" originally developed between 1832 and 1900 and is considered one of the best-preserved collections of historic mansions in the Southern United States.